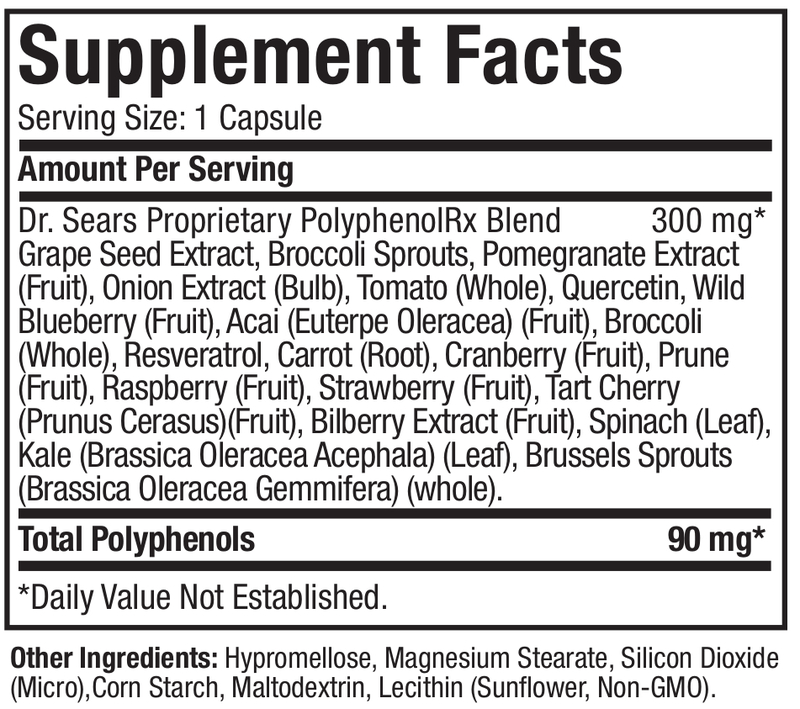 PolyphenolRx is a polyphenol supplement that consists of 17 varieties of fruits and vegetables (e.g. kale, spinach, Brussels sprouts, acai, raspberry, strawberry, pomegranate). Each has been hand selected for their anti-inflammatory and anti-oxidant properties. 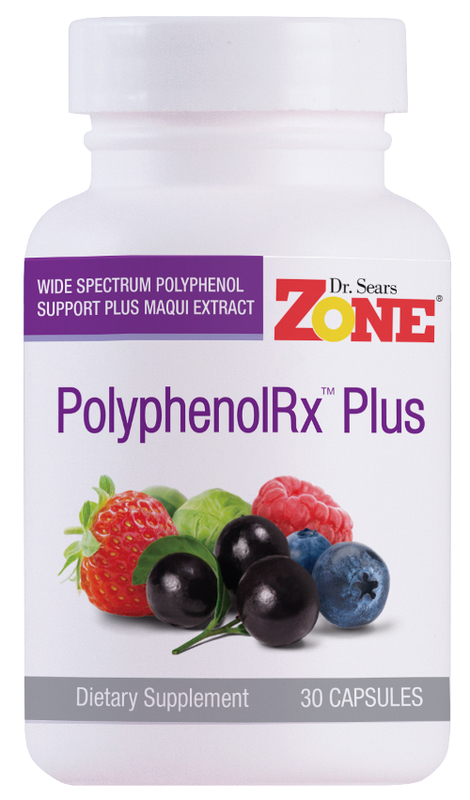 Supplies 90mg of polyphenols per serving. Polyphenols help support the enzyme that optimizes metabolism so you can promote higher energy levels while taking in fewer calories. I had read that polyphenols would help clear my adult acne aside from having extremely effective benefits for the digestive system. After just 2 weeks my skin is almost all clear, my hair is healthier. My digestive track is gettng rid of “gunk”! The polyphenolRx is of high quality and the results are the confirmation. 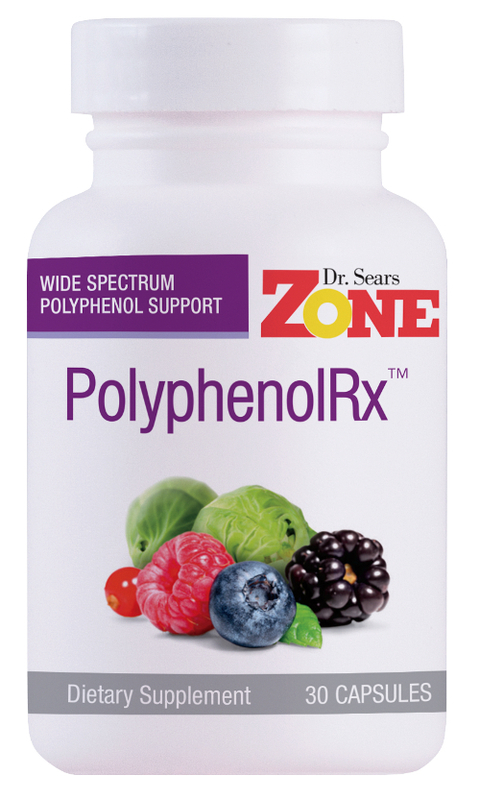 I will continue using Dr. Sears PolyphenolRx for continued health. This product is a high value for the price. 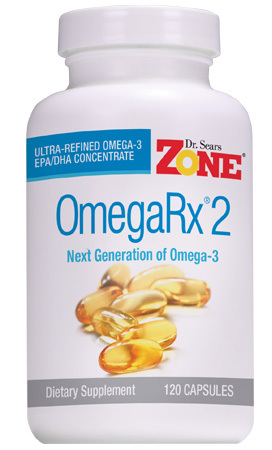 Promotes the effectiveness of OmegaRx and keeps inflammation in check. I have treasured the PolyphenolRx for years; a true gift. I love this product. It is relatively inexpensive and I always take one with a meal. I know I do not eat near enough fruits & veggies. This pill makes it easy! As much as I love fruits and vegetables there are still days I know I don’t eat enough. The polyphenols gives me added insurance to close the gap. I take it either as a capsule with a meal or sprinkled into a berry shake.